We are less than a week away from celebrating "Premio Lo Nuestro" in Miami and I thought, with it being Valentine's Day and all, that I'd celebrate by sharing this wonderful interview with thrice nominated artist (and total hottie) Rigú. I don't just call anyone a hottie mind you. 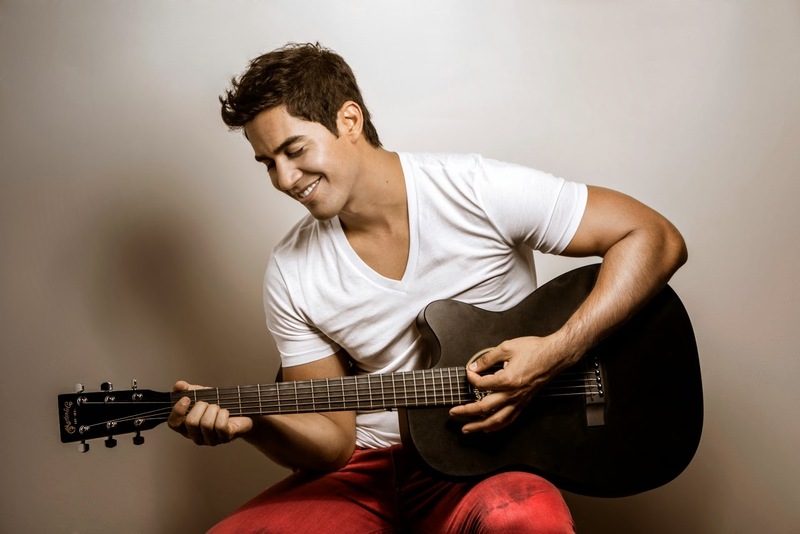 You can trust that this Venezuelan-born stunner is not only physically handsome, but he's proven his talent in his debut album "Entre Venas" and his love and appreciation for his fans through social media and when he meets them in real life. So I invite you to learn a little more about him ahead of the live airing of "Premio Lo Nuestro" on February 19th on Univision. Congrats on your three nominations! You are up for "New Artist of the Year," "Pop Male Artist of the Year," and "Pop Album of the Year." How do you feel? “For me this was the best surprise to have been acknowledged in such a big way! I am happy and so grateful to God, my team anda ll of my fans who continue to support my music. I also want to give thanks to Univision for supporting my career from the beginning." Your songs are very heartfelt. What inspires you when you're composing? "Actually a breakup inspired me! I wasn't expecting it from someone who was so special to me, but it helped me a lot when it came to composing my songs." Let's forget all about her! What's the first thing you notice when someone catches your eye? "The first thing that catches my attention is a persons eyes. If they display intensity, they have my full attention." Since it's Valentine's Day, what gift would you like to unwrap? "I don't put a big emphasis on gifts. I prefer someone surprise me with something thoughtful and sweet like a note tucked away somewhere unexpected. It's more about the thought and sentiment that goes into something that is important to me." Men are pretty tough to shop for. For anyone looking for a cologne to gift their loved one, what do you recommend? "I love many different colognes but my current favorite is Allure from Chanel." I can't think of an image people respond more favorably to than a man and his guitar. Did knowing that factor in to your decision to do it professionally? "No that was not a factor at all! The reason I was motivated to learn to play the guitar was that I wanted to be a serious artist--- so I learned different types of instruments. Thanks to that, it has given me more knowledge to be the best artist I can be." Ok I lied. We all swoon over photos of men and their children or pets. You have plenty of these you share on social media. How has each changed your life? "My life changed completely when I had a child. He is the first thing I think about when I wake up and my last thought before I go to bed. Everything I do is for my son. And now, my dog Stitch has become my best companion! She goes everywhere with me."